While many organizations apply NoSQL technologies to solve problems they encounter in the real world, Marvel Entertainment faces a different challenge: modeling the fictional world that is the Marvel Universe and the creative output used to create it. This talk will give an overview of how Marvel uses NoSQL (particularly graph analysis) to understand its intellectual property and how its user base responds to it. You'll see how Marvel uses NoSQL to model and learn from the expansive set of people, places and things in its immense fictional universe (and how we solve a number of real business problems along the way). 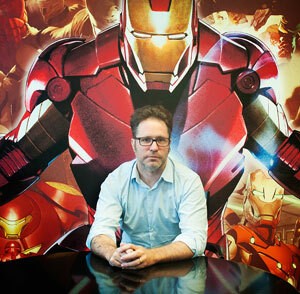 Peter Olson is Vice President of Web and Application Development at Marvel Entertainment where he focuses on driving strategic technology innovation within the organization. Peter has helped bring comics to wide audiences on the web and mobile devices and helped introduce the Marvel Universe to millions of people a month.